LinkedIn is a great platform to be on, not only for individuals and professionals, but also for business owners. It is a social network designed specifically for those who want to grow their network in a particular industry. LinkedIn lets you connect with industry leaders as easily as you can meet other professionals in various fields. LinkedIn will even allow you to create a business page. Growing an organic presence on LinkedIn is one of the biggest challenges many users face. This is especially true with a new business page. The tips we are about to discuss in this article will help you get started with developing your business’s LinkedIn presence organically. Whether you’re setting up a LinkedIn Business Page or your own personal LinkedIn profile as a business owner, maintaining a consistent branding is very important. For businesses, branding is relatively straightforward. You have a set of logo and corporate identities you can use to design the page. There are also key messages and other elements that will help maintain a consistent branding. You and other team members can then link profiles to the business page. This will quickly get you the traction you need to develop a strong online presence. Always start by engaging team members and colleagues since they are the ones that will help speed up the growth substantially. There are two ways you can attract more people to follow your business page on LinkedIn. The first approach is by creating your own content and sharing it through the network. Creating content that is relevant to the industry is best. Don’t just write articles to promote your business; the idea here is to share valuable information that users actually find useful. The second approach is to share existing contents. A lot of business pages and LinkedIn users are doing this to expand their reach and attract more followers. There is plenty of high quality content to share, especially now that you can find information on anything with a simple search. A good rule to follow is to share content from high authority sites, or those coming from credible sources. Keep in mind that you are sharing with professionals, so extra care and curation is needed. Don’t forget to be social, too; after all, LinkedIn is still a social network. You can’t expect people to follow you when you never took the time to communicate with followers. Find ways to keep up with other users and maintain a high level of engagement. You can, for example, gamify article sharing. Take advantage of your colleagues and team members – and their networks – and give incentives whenever they are sharing your articles. This can be done in several ways, but Google Analytics or a link tracker is usually more than enough to see how much an article is shared. Sharing these insights will often encourage people to share more. 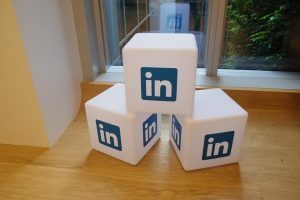 Growing an organic presence on LinkedIn doesn’t have to be complicated. You still need to invest enough time and energy to grow a strong group of followers, but these tips we just reviewed will help you get started right away. Great article. Linkden is often overlooked by people it is a very useful platform to promote yourself and your website. It can be used effectively to make genuine viewership for blog or a website! What Should I Pay for My SEO Campaign?